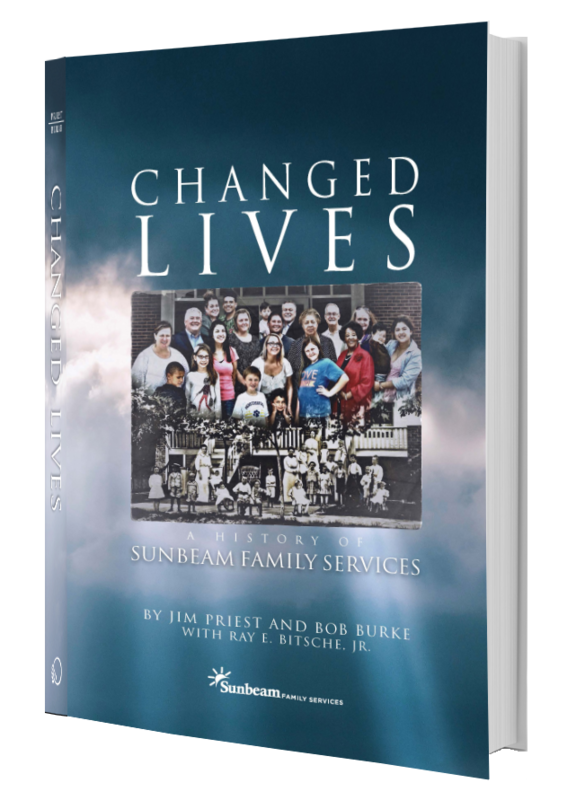 Read about the dynamic history and people behind one of Oklahoma’s oldest nonprofits in the new book Changed Lives: A History of Sunbeam Family Services. Written by noted Oklahoma history author Bob Burke and former Sunbeam Chief Executive Officer Jim Priest, with former long-time Chief Executive Officer Ray Bitsche, the 143-page book is a must-read for anyone interested in learning about the individuals and families whose lives have been changed by Sunbeam. Opening its doors just before Oklahoma’s statehood, Sunbeam Family Services has served Oklahomans since 1907. 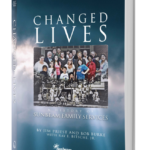 Changed Lives is an inspiration book highlighting our 109 year history, telling the stories of notable Oklahomans who generously contributed to Sunbeam’s legacy and stories of the vulnerable Oklahomans whose lives has been impacted. Today, Sunbeam continues to provide help, hope and opportunity to those in need. Buy the book at Full Circle Bookstore on the lower level of 50 Penn Place in Oklahoma City or contact Sunbeam Family Services at 405-528-7721 to order your copy of Changed Lives. “Oklahomans are a resilient, “can-do” people and we, at Sunbeam, stand ready to work with all partners to improve the lives of vulnerable Oklahomans. That’s what we do — and have done — for over a hundred years: providing help, hope and opportunity – and above all, changing lives for the better,” Jim Priest in Changed Lives. To make a book purchase, call 405.528.7721. For 108 years, Sunbeam has been a vital support to individuals and families in the community. We began as a children’s home and although Sunbeam no longer serves in that capacity, it is still “home” to the many services we provide, and is known as Oklahoma City’s longest serving nonprofits. 1907 – In 1907, Lizzie Swisher saw a need to for a children’s home in her community. With basket in hand, Lizzie and a group of women went door-to-door in their historic Oklahoma City Heritage Hills and Mesta Park neighborhoods, asking their peers for financial support. That passion to provide safe housing for homeless boys and girls spread, and their efforts raised enough funds to build a children’s home. 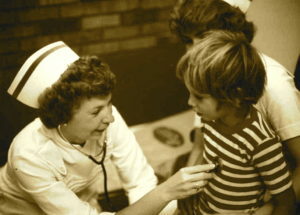 Late 1930s — Sunbeam expanded its services to include a psychological services clinic, casework services, foster care, and adoptive home placement. World War II — Sunbeam operated a nursery for the children of women who worked in war-connected industries and licensed other providers of similar child care operations. Post-War 1940s — This era marked a period of expansion into adult mental health services for Sunbeam, providing the only community-based mental health services in existence in Oklahoma at that time. Late 1940s — Sunbeam again broke new ground when it served as a resource for emergency detention of children under the age of 16 who had committed crimes. Sunbeam’s board of directors provided leadership for the creation of what is today’s Oklahoma County Juvenile Bureau. Sunbeam began to provide services to the elderly and their families, now known as the Senior Companion Program. Sunbeam became one of Oklahoma’s first operators of community group home care and therapeutic foster care. Sunbeam opened a 10-bed emergency shelter for senior citizens that are victims of elder abuse and persons made homeless by catastrophic medical problems. Sunbeam was selected by the Oklahoma Department of Human Services to become the sole provider of emergency foster care in Oklahoma and Tulsa counties. A Tulsa office was opened but closed in 2004 to better focus Sunbeam’s mission and resources in the Oklahoma City greater metropolitan area. The Caregiver Fundamentals program was expanded from support for individuals who are caring for an aging family member to include services for grandparents raising grandchildren. Today the program also provides respite care for individuals caring for a loved one with Alzheimer’s. Sunbeam was awarded a grant to administer the Early Head Start Program in Oklahoma County. Sunbeam begins operating Oklahoma City’s Educare, a research based program focused on school-readiness for poor children and their families. Sunbeam moved into its new home at 1100 NW 14th Street in Oklahoma City.